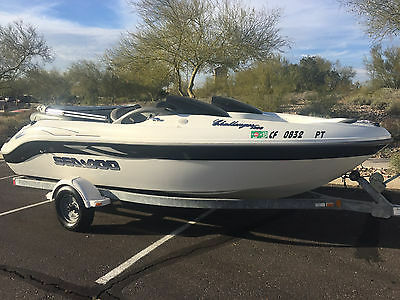 2002 Sea-Doo Challenger 1800 (240hp) mercury optimax Only 10 HRS On Brand New Engine!! 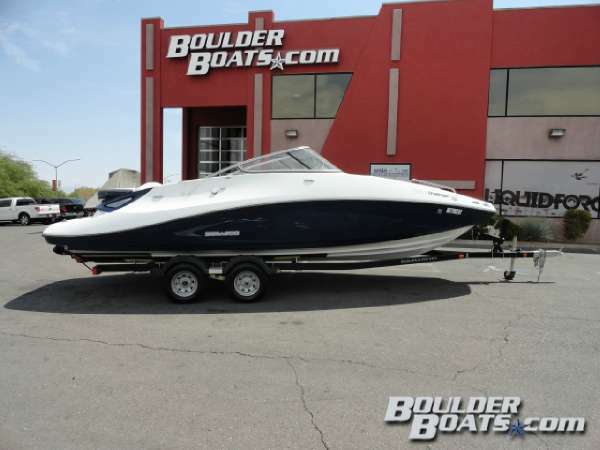 No other boat epitomizes the fun of water sports quite like the Challenger 1800. 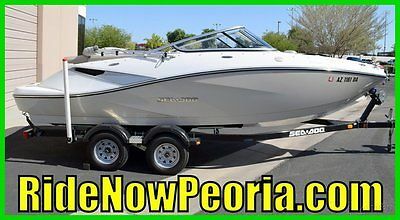 Its nimble design, quick acceleration CD Stereo ,Bimini top, Full Cover, Trailer New Tires -Boat has only been used in fresh water - One owner boat -Lake Ready !!! 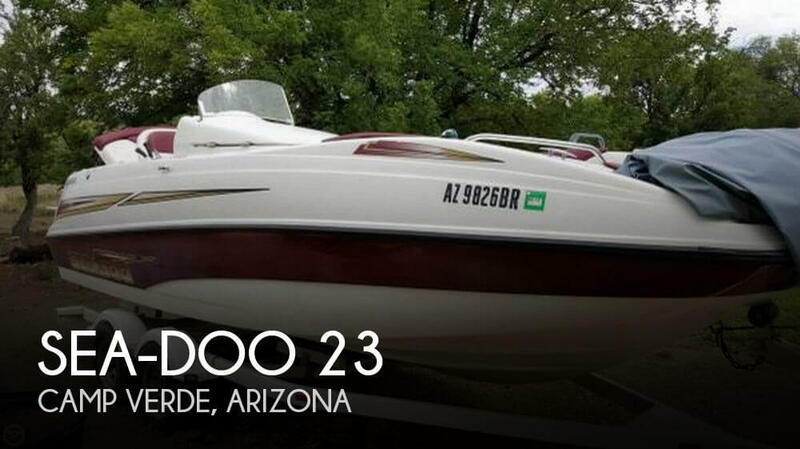 You can see from pictures, gelcoat is nice and shiny, normal wear and tear like dings scratches and scuffs as you would expect from any used boat Call 480-825-2506 Payment: Paypal, Credit card directly by phone, bank wire, cash at pickup, personal check or cashiers check if mailed in advance and given time to clear. Only $2,000 can be charged on a credit card or paid thru Paypal due to the excessive amount of fees. The remaining balance must be paid by a method that does not charge us fees such as bankwire or cashier's check. Payment is due in 5 days unless other arrangements have been discussed in advance with us. Shipping: Local pick-up or we can help you arrange shipping Auction Terms: Terms: Your bid is a Legal Contract and your acknowledgement of our terms stated on this auction. Please read them carefully and ask any questions you might have before bidding on the auction. Taxes: Out of state buyers are responsible for all state, county, city taxes and fees, as well as title/registration fees in the state that the vehicle will be registered. Rights of Seller: Seller reserves the right to cancel bids and/or cancel an auction without notice or recourse to active bidders. Seller may relist, resell or otherwise remarket the product if any of the terms of this agreement are not met. Seller does not take responsibility for correctness or completeness of any representations on or about the auction or the product. Statements of condition are opinions and inspection is the responsibility of the buyer. 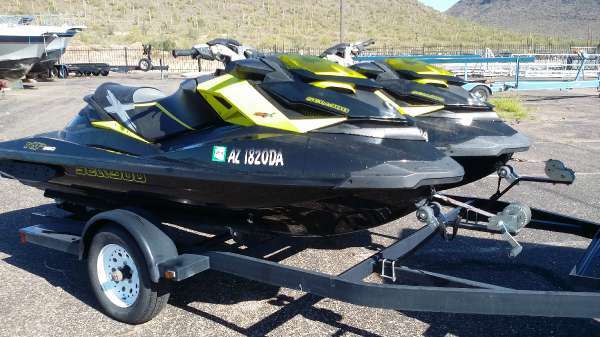 1999 Sea-Doo GTX Limited & 1999 Sea-Doo GSX RFI 1999 Sea-Doo GTX Limited Weekends were made to enjoy and the Sea-Doo GTX* Limited has everything you need to enjoy them to the fullest. It's the ultimate combination of powerful performance, precise, predictable handling, and fully-equipped luxury. 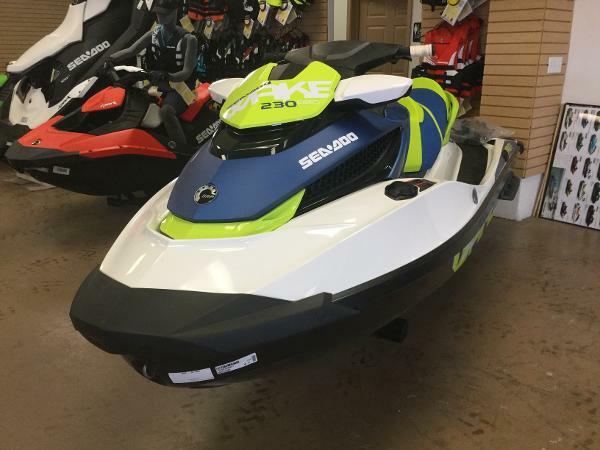 The 130hp 1000 series Rotax marine engine really delivers on exhilaration and acceleration, while mirrors and full instrumentation keep you informed. Enjoy your weekends! 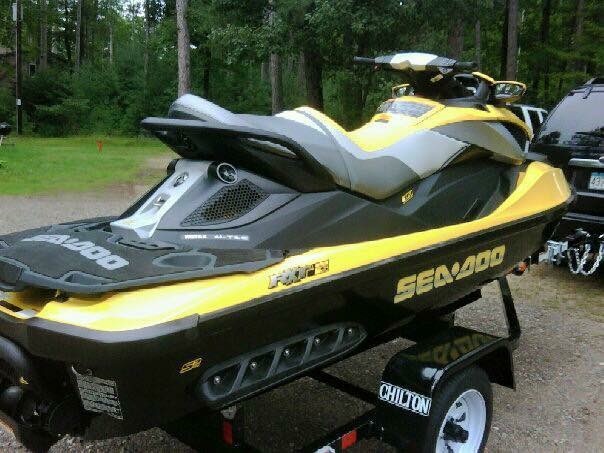 Lake ready Sea-Doo in excellent condition. Only 199 hours. 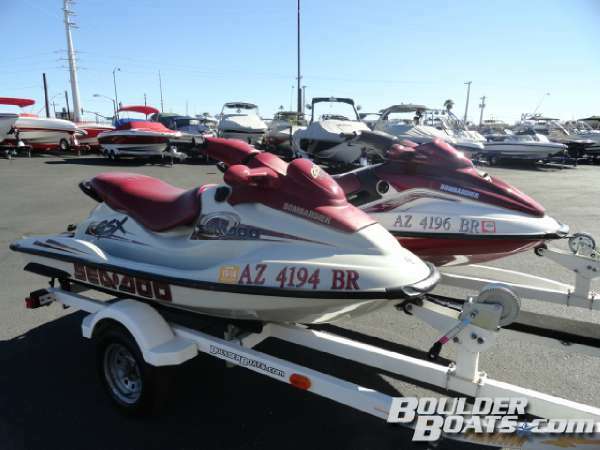 Featuring: Rotax 951cc, Twin Cylinder, Two Stroke, Liquid Cooled, with Fuel Injection, and R.A.V.E, full instrumentation, mirrors, reverse, fire extinguisher and tons of storage. 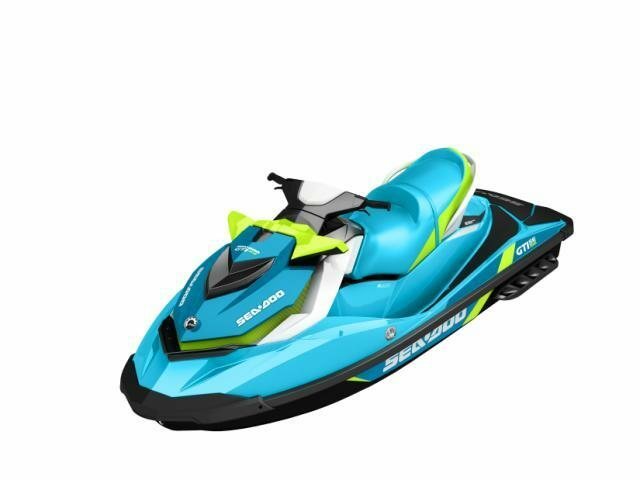 1999 Sea-Doo GSX RFI Brand new for 1999, the Sea-Doo GSX RFI is setting benchmarks in fuel efficiency and noise reduction. 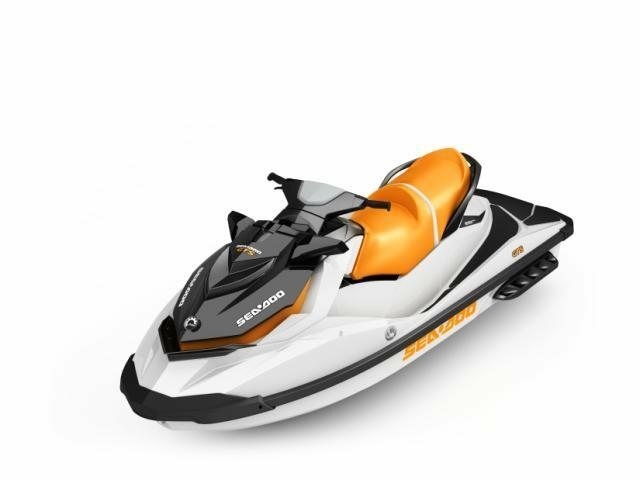 Sea-Doo's exclusive, easy starting, fuel-efficient RFI engine reduces emissions and significantly increases fuel economy over carbureted models. And with the addition of D-Sea-Bel, which reduces on-water sound up to 50%, you and others will appreciate the quieter ride. Performance driven-user-friendly. 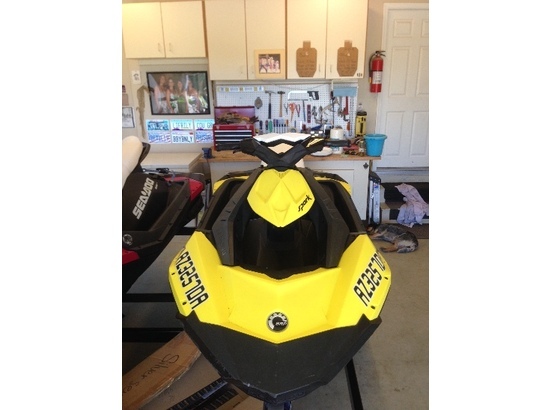 Lake ready Sea-Doo in excellent condition. Only 134 hours. 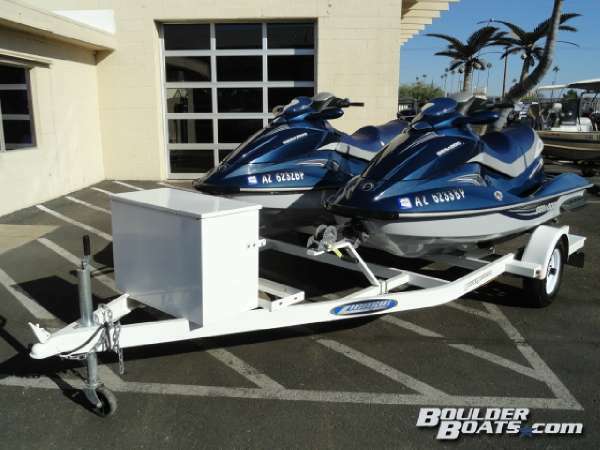 Featuring: Rotax 718cc, Twin Cylinder, Two Stroke, Liquid Cooled, with Fuel Injection, and R.A.V.E, full instrumentation, mirrors, fire extinguisher, and a matching 2-craft single axle trailer w/storage box and spare. 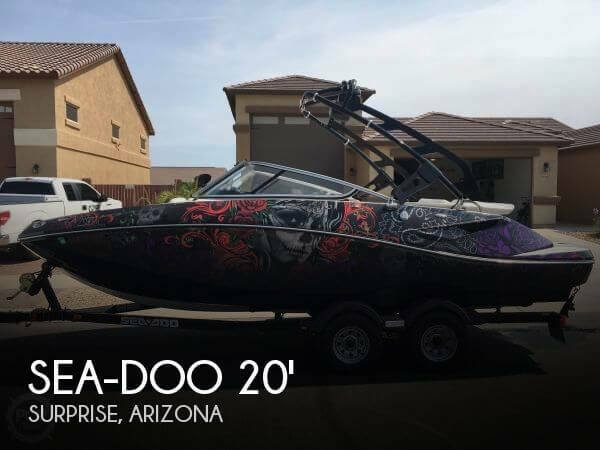 For more information please call or text Boulder Boats at 480-374-4400 or view our complete inventory of new and used boats including Sea Ray, Four Winns, Chaparral, Stingray, Campion, Ebbtide, Doral, Larson, Glastron, Bayliner, Maxum and more at www.BoulderBoats.com If you are interested in selling your boat, please call today for information or our consignment program. 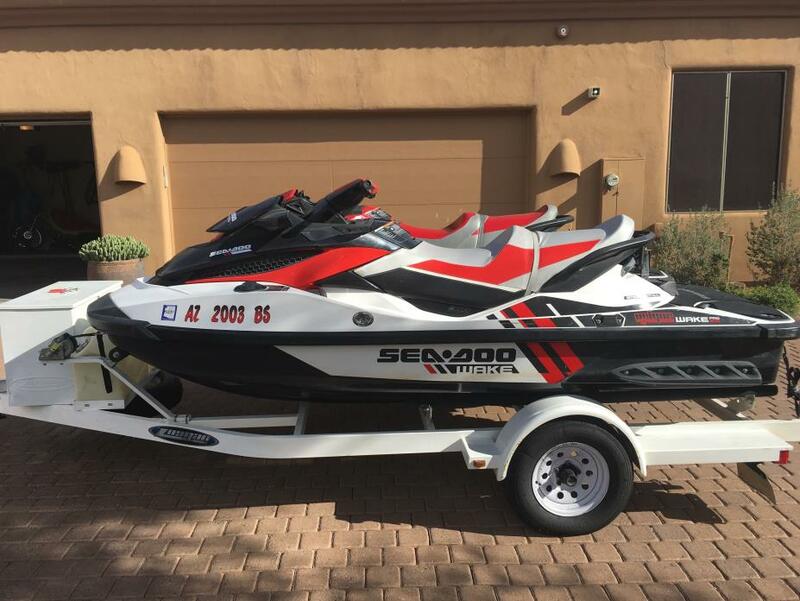 Tour Our Facility - Pair of Sea-Doo's with trailer.